Going back through the last six World Cup winning teams, every side has opted for big-bodied, tall and powerful players at both number 8 and blindside flanker. On Friday Will Knight wrote an article entitled ‘Calm down over Quade’, and it’s about time someone put together a rebuttal. 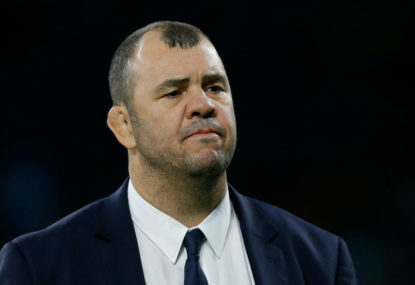 Michael Cheika must go, but who should replace him? Few followers of Australian rugby would say that the current coaching staff had succeeded in improving the players since Super Rugby. The Rugby Championship is almost upon us for another year, and it’s no surprise to see New Zealand are primed to take out the competition once again. In the first Bledlisloe test of 2018 Michael Cheika has the chance to start anew. 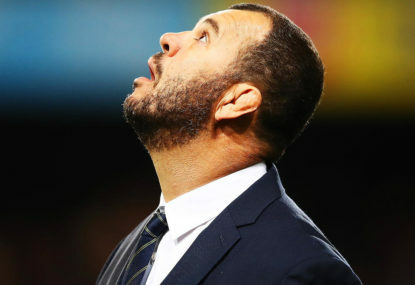 To create a new narrative around his coaching of the Wallabies and to restore faith in both the team and in his coaching. 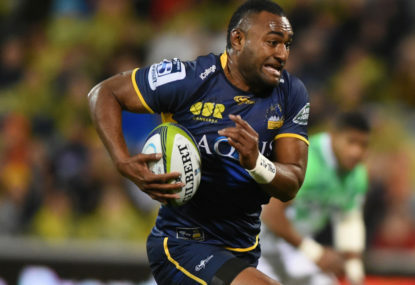 The Brumbies were expected to cruise against the Sunwolves, but the game was a lot closer than expected. Here are five things we learned. The 2018 Super Rugby season is almost upon us. While you keep up with all the excitement try and keep an eye out for possible future Wallabies stars. Looking ahead to season 2018, the Brumbies’ back row looks like their biggest strength. We’ve come to the end of another enthralling and surprising rugby year. Here’s my report card for each of the teams. What would once have been considered a fairly straightforward match for the Wallabies is shaping up to be one of the Tests of the season. What is Reece Hodge's long-term position? The Kiwis, England and South Africa all have a very important advantage over Australia: they have enough talent to let them decide what a player’s best position is and give them support and development to improve. Who is Bernard Foley's understudy? It is clear Bernard Foley will be the Wallabies’ first choice 10 unless some Stephen Larkham-esque talent is unearthed. However, it is still necessary to invest in a strong understudy should injury occur or Foley suffer a decline in form. Michael Cheika brought through a lot of young talent in 2017. 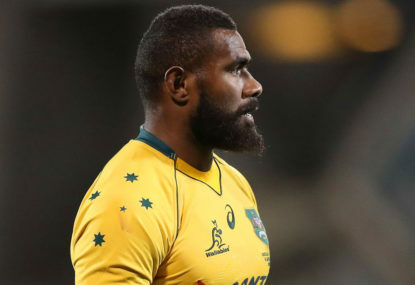 Jack Dempsey, Lukhan Tui, Izack Rodda, Jorda Uelese and Marike Koroibete were all relatively unknown before the 2017 internationals, but put in some extremely good performances for the Wallabies. 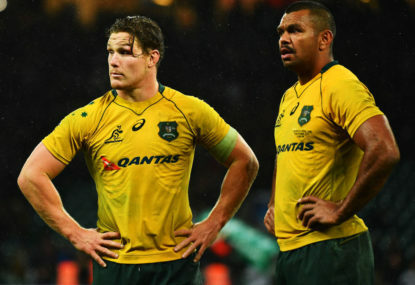 It is an age of turmoil for Australian rugby. 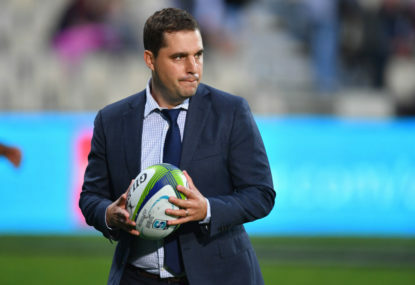 Dave Wessels’ decision to remain in Australia and coach the Melbourne Rebels shows the measure of the great man that he is, and should put him front and centre to succeed Michael Cheika as Wallabies coach. 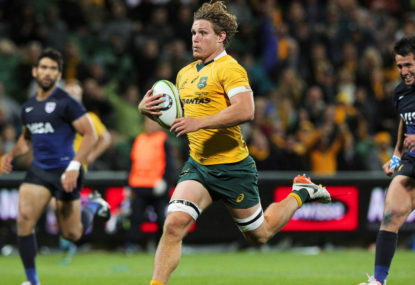 On very few occasions since Stephen Larkham’s retirement after the 2007 Rugby World Cup has the Wallaby backline looked fluid and professional in both attack and defence. Since 2007 Australia has been searching for a world class flyhalf to take Larkham’s place. 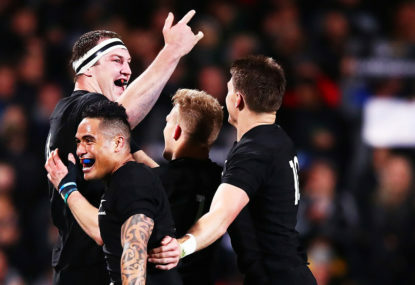 Do All Blacks fans have a cause for concern? Following the retirement of legends Richie McCaw, Dan Carter, Ma’a Nonu, Conrad Smith and Keven Mealamu, many wondered if the All Blacks would suffer a decline. 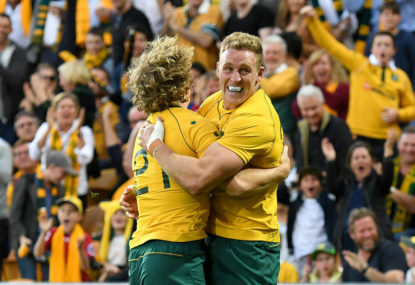 Do the Wallabies deserve praise after Bledisloe 2? 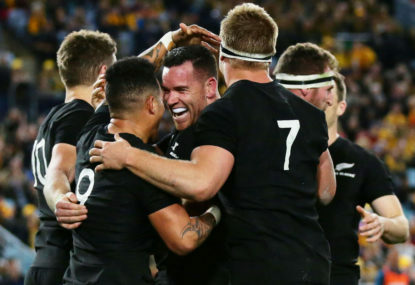 After the nail-biting Bledisloe 2, Paul Cully in the Sydney Morning Herald wrote the following. The back-row, or loose forwards, are absolutely key when it comes to both dominating the breakdown – and therefore both securing possession and slowing down the opposition’s possession – and in forward ball-carrying. Of all the problems plaguing the Wallabies’ backline, one of the most important is the lack of a settled second playmaker. You seem like a very chill, peace filled bloke, James! And I mean that as an an almighty compliment. Think that could potentially have something to do with being given virtually no minutes in 3 seasons then told to start with a crabbing Beale outside him? I think we’ve had individual backline players look good, the problem is that they’ve never been well directed by the 10. 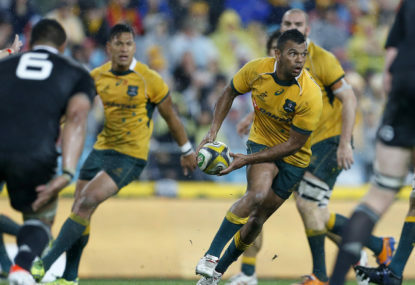 Genia, DHP, Folau, Kuridrani, Kerevi and Hodge are individuals who have played very well at points. The problem is that a almost never looks good unless they’re being effectively directed by the 10. Our backline has looked listless and confused for years, no matter who is chosen. I just don’t see anything changing with Foley. Going back to the same option that has failed time and again is so unlike to produce positive results. It probably won’t with Quade (or CLL or Toomua) either, but at least there is a chance. 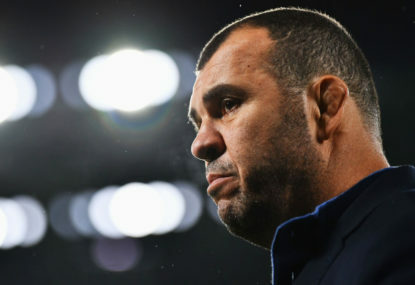 Cheika owes it to Wallaby fans to at least trial an alternative. And I’d agree with you were his only realistic competitor a better option. Foley’s weaknesses are just as bad, and his lows lower. It’s just a shame that Lealiifano has his cancer and Toomua headed overseas. I think Lealiifano has been the form 10 the last Aussie 10 the last month or so. Yeah claiming that Quade’s struggles vs the Sunwolves when Quade set up multiple tries, scored one himself from memory, made most Aussie teams of the round I saw and in which the Rebels smashed the Sunwolves (when the other Aussie sides squeaked past them) really just illustrates what I was talking about regarding Rhy’s biases on this particular topic. 3 out of the last 4? He played very well vs Sunwolves and Reds. I also don’t deny that he has played poorly the last two matches. However, he isn’t being compared against a mythical benchmark, but against his competitors for the 10 jersey. Foley has had about 1.5-2 good matches this year, and his highs have been nowhere near as high as Quade’s. Foley has also been tried endlessly at international level and aside from a brief period in 2015, has never looked good in gold. If people wanted to discuss whether Lealiifano or Toomua were better options, I’d be very interested to hear it. Neither possess Quade’s flashiness, but both are competent players with good kicking, defensive and passing games. The Cooper vs Foley debate is at the point of ridiculousness. Foley has been the incumbent 10 since the start of 2014, and the only year he or the backline has had even a modicum of consistent success was 2015. Quade has had two periods of incumbency 2010-11 and 2013, and both fo those periods were periods of sustained backline success for the Wallabies. During that period Foley has had a bunch of different 12s, different 13s and different outside backs, and it has never worked. The fact people want to continue sticking with a 10 who has failed for so long just utterly baffles me. They are just hoping for the stars to align as they did in 2015. Quade is undauntedly more skilful than Bernard, but plenty think he melts when under pressure. These two factions will not convince each other. I honestly don’t mind if Quade isn’t picked though. 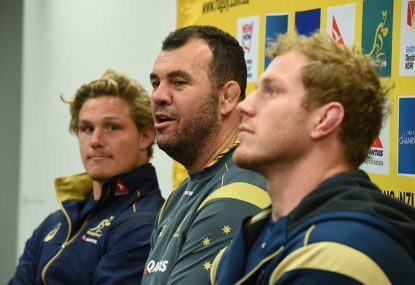 Cheika’s Wallabies deserve what they get at the World Cup. Why can we only compare those years? But you’re right, if we compare Foley’s only successful season with some in which Quade was only moderately successful, he is better. No, I’m just accusing you of having biases so great on this particular topic. So you create flawed, constantly shifting arguments to justify your preconceived ideas. Arguments that, when challenged, you’ve never been able to defend or justify. Strange to hear someone claim that Quade loses the plot more now than 4-9 years ago. But then again, since Thorn cut Quade every comment you’ve made on him has been emphasising his flaws. Interestingly, in the years prior to last I remember you had quite a different opinion on him. I think 2016-18 shows that we definitely don’t do better with Foley. 2016 especially when they shared the 10 duties and the team performed better with Quade. Also, given they were the only two periods Quad was the incumbent 10, they’re the natural periods to compare. Was it actually backed up by any evidence, or just more claims that terminating Folau’s contract will be breaching the Fair Work Act with no evidence of the Act whatsoever like your other claims on the subject? If the former, I really do hope the Roar publishes it. And yet, you said yourself a few months ago that the only two times the Wallabies have looked consistently good under Cooper were 2010-11 and 2013. 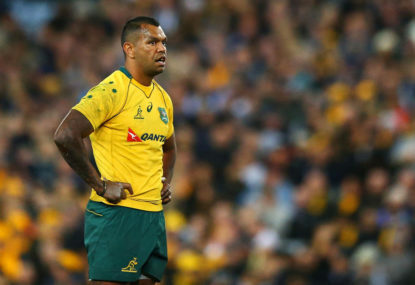 They were the only two periods that he has been the incumbent 10 for the Wallabies. The only other period that the team has looked at all good since Larkham retired was in 2015. Yep, they left their run too late last year, so even though they finished the season playing the best rugby in the conference, destroying the Waratahs in Sydney in the last round, they missed out on the finals. That’s the thing, Geoff. The whole free speech debate is an incredibly important one to have, but this is not the situation to have it. In fact, having it in this situation actually just plays into the hands of those who want to curtail free speech. A better example would be when a university doesn’t allow a “controversial” speaker to speak. Challenging the status quo is a central point of universities. Richard Dawkins’ speech being cancelled a few years ago due to him criticising Islam particularly irked me (not sure if that was Aus or UK), given that the main religion he has criticised throughout his career is Christianity. I said elsewhere that this is what happens when you get boards dominated by bankers and accountants. TWAS challenged me that this is what boards should be doing, but I think that the enterprising spirit of a board dominated by entrepreneurs is what SANZAAR needs right now. I fear the whole conservative ‘playing it safe’ thing may not work longterm. I would have liked a 15 team round robin to be honest. Top 4 or 6 to the finals. The problem is tat the Crusaders are starting to look more and more unbeatable. Is the match in Joburg or Christchurch? Honestly, with the draw the Brumbies have they should be aiming to try and make the finals, even if it is by finishing 4-8 in the combined ladder. 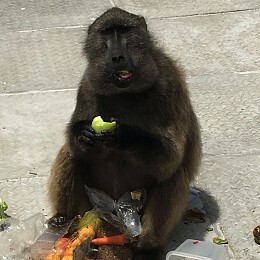 Pocock has returned to Canberra to recover, Nobes. Rolling maul hasn’t actually been a big weapon for us this season, or last year so much either really. The problem is that the Aussie commentators perpetuate the myth that it is our main attacking platform by bringing it up every match. I think the match will be determined by whether the Brumbies can keep it structured, or if it breaks down, which will play into the Jags’ counterattacking ability. Think it will be 10+ to the Jags unfortunately. Pfft. It should be the wooden spooners every year that get to not play the Crusaders the following year. Ah, okay. Yeah, I personally wish the Sunwolves were staying, but am glad we are returning to a round robin format. I actually think the derby matches against the other Aussie sides are more of an event when they are annual, rather than biannual, and I am in the minority, but I actually prefer playing the International sides. Matches against the Bulls, Crusaders and Highlanders are ones I particularly look forward to every year, so am disappointed that we aren’t getting to play them. I feel like the Brumbies tend to try and hold the ball. Thought the weekend was an outlier. We certainly aren’t kicking as much as used to. Is this season shortened as a result of the World Cup, or do you not play every team in the current format? Thanks for this. Said elsewhere that if the Brumbies can win against the Jaguares, then I think there is a path to topping the conference. They don’t have a too difficult draw in the second half of the season. 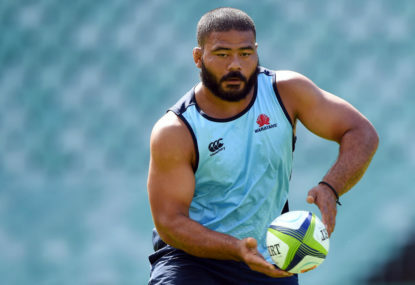 – Waratahs in Sydney (I think the last time we lost to the Tahs in Sydney was 2015, and have only lost once in the last 1 match against them since that year). It is unlikely, but topping the conference is possible.